Produces early, heavy yields. Ripens from deep green to red. Plant in full sun 18-24" apart. Tolerant to blossom rot. One of the best all-around bells. Blocky, large, green fruit maturing to red. High Yielding. Large, crisp 7" fruit on upright plants. Green maturing to red. 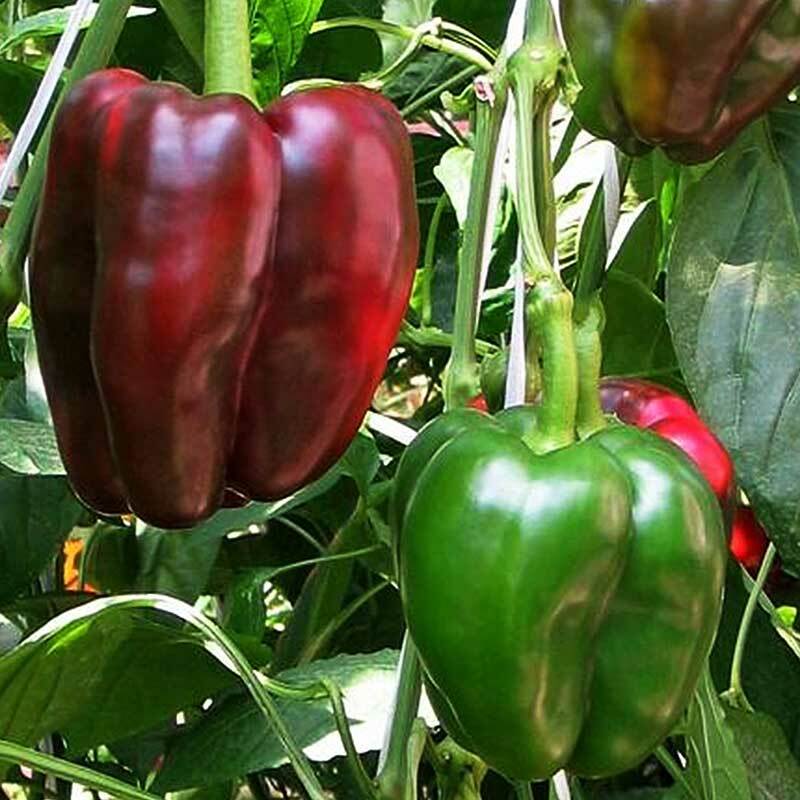 Uniform green to red main-season variety whose near square fruit makes it a great stuffed pepper. Thick walled and crisp even when matured to red. Large glossy green fruit is blocky and thick walled. Must have bell pepper. Nicely lobed. Use green or red. 4"x3½". High Yielding. Disease Resistant. Extra large, blocky, thick-walled peppers. Matures from green to red. Does well in cool weather. 5"x4½". Disease Resistant. Flavorful medium large bell peppers. Beautiful, golden-yellow fruits. Extra-large, 4 to 5" fruits mature from dark green to yellow on strong plants with very impressive yields. Light green-yellow bell pepper. 3-4 lobes and thick walls. Has an intense orange color. Lobed fruits are 3 to 4" long and 1½" wide. High Yielding. Compact plants and thick-walled dark purple, blocky fruits. Yellow/red with medium-thick walls. 6" x 1½". 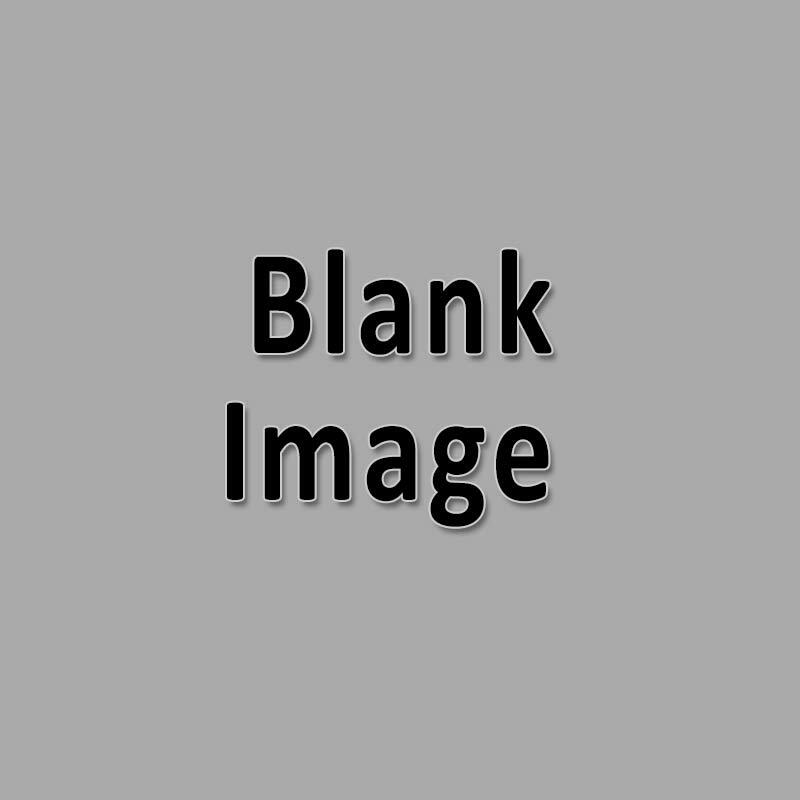 (Rated 1-5 flames; 1 flame being the mildest (1!). 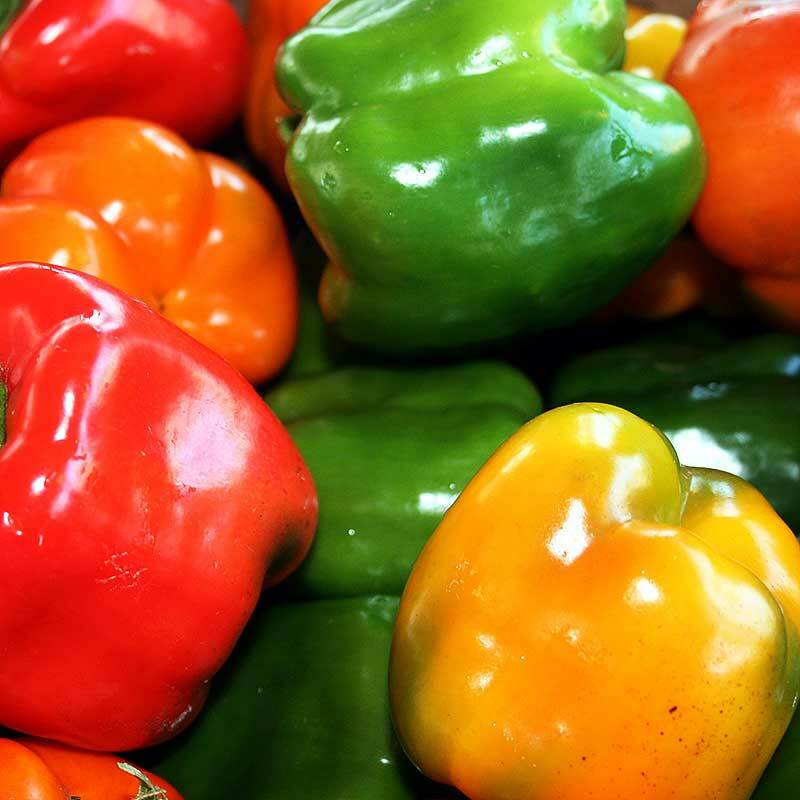 Heat of peppers is influenced by humidity and high heat or stress (hotter). Drying peppers concentrates the heat up to 10x. Blunt. Tapered 1½" wrinkled fruits. One of the hottest (5!). Heavy producer. Thick meaty long 4 inch fruit. Use in salsa or sauces. Poblano Hot Pepper. 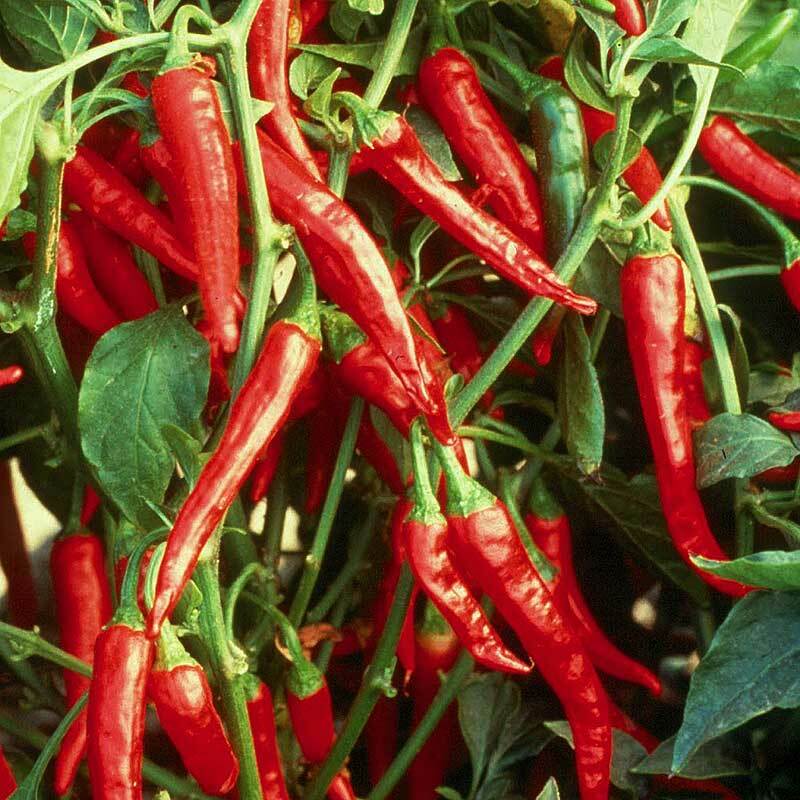 Medium hot pepper produces extra large fruit over a long period.